Email marketing has once again made a successful comeback in the mainstream marketing strategies after its abusive use by marketers made it ineffective tactic and people started deleting or unsubscribing emails from their in boxes. Now, to make this form of marketing a success, marketers are experimenting with different strategies, keeping in mind what people like and dislike about emails. Various researches in this regard have made marketers only wiser and they can adopt different tactics to ensure that people take interest in their emails. However, before you chalk out strategies to address the concerns of your audience’s backgrounds with your emails, it makes sense to ensure that your emails looks visually appealing and stands out from the rest of the insipid and tasteless designs. Therefore, it makes sense to invest in a professional and creative email design. Are you’re wondering how can you stand out from the crowd and maximize the impact of your marketing emails? The answer is simple! You’ll need to embrace the trends of tomorrow to stay ahead in the game. Lightbox Pop-Ups will Become Popular– Contrary to the popular belief that lightbox pop-ups put-off visitors, a slew of case studies and researches reveal that pop-ups actually help email lists grow faster by as much as 10 times faster as compared to the conventional email signup fields. Quite obviously, an ever-increasing number of email marketers are exploring this trick to their advantage. A timely placement of lightbox pop-ups encourages users to easily sign up for your newsletter or email lists. We’re sure lightbox pop-ups will become just-the-ticket for conversions . Mobile-Friendly Emails will become the Norm– In 2016, more and more email marketers will try to create emails that are adaptable to small screens of smartphones and mobile devices. A study by Marketing Land reveals that 66% of all emails in the US are read on smartphones. Since screen sizes of smartphones and mobile devices are also getting bigger, it will encourage marketers to optimize their marketing emails for mobile devices and smartphones. For this reason and that phone users prefer reading everything on the go, emails must be specific and simple with light text without any heavy files such as images and videos. Personalization will become Essential– Marketers will resort to sending personalized emails to the specific set of audience. This implies that instead of sending emails in a bulk to all their subscribers from the list, now the focus will be more on first specifying the target customers on the basis of demographics, age, taste and preferences. So, for people 18-24 years, emails containing discounts and promotions will be a better idea as they seek such attractive offers in order to save money. Similarly, middle-aged and seniors can be lured by emails containing offers of free shipping and free gifts. Campaign Tracking Will Take Center-Stage– Email marketers will track success of their campaign to make improvements on right time. Tools like Google Analytics will also be put to use for analyzing email traffic as the tool can append URLs with the performance standards you have set. So, email marketers can know about the visitors who are coming directly from reading emails. In fact, you can even know about how many people abandoned your cart or confirmed purchase with the mention of the product name. In addition to Google Analytics, there is a host of free and nominally charged email marketing tools that marketers can put to use in 2019 to stay ahead of the curve. Hashtags will Find Prominence in Email Marketing – Hashtag has been one of the most important components of Twitter for years. But it seems as it is all set to become an indispensable part of email marketing too. An article published at LinkedIn.com reveals that the use of ‘#’ in emails increases the open rates by 4.3%. 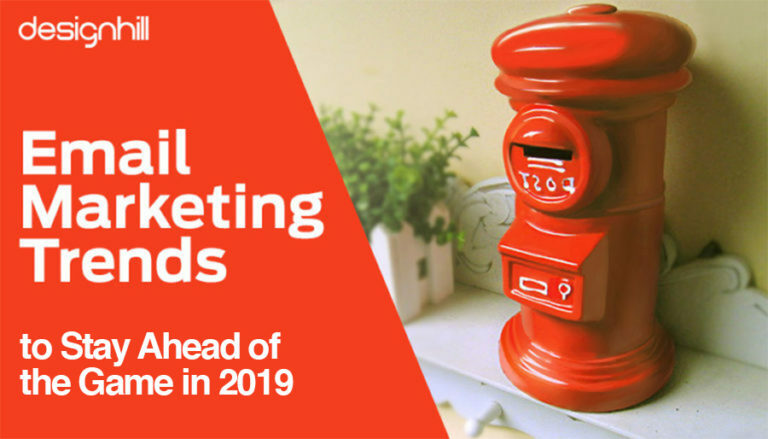 Since hashtag symbol helped a number of marketers increase their email open rates in 2019, we’re sure this trend will continue to make waves too. That’s it! This is our email marketing trends prediction for 2016. It will certainly be interesting to see which of these trends adapts, evolves and outlasts the rest and which one dies a fast death. But we’re sure of one thing email marketing is going to grow in the coming days and you should take note of it in order to ensure that you’re able to deliver maximum value and minimize the impact of the market.